It was just last month when Mercedes took the sheets off its newest entry-level compact sedan, the 2014 Mercedes-Benz CLA-Class. At a preview just before the Detroit Auto Show, we drooled over this pint-sized CLS lookalike, but we were told that we wouldn’t get the chance to buy the AMG model in the U.S. just yet. 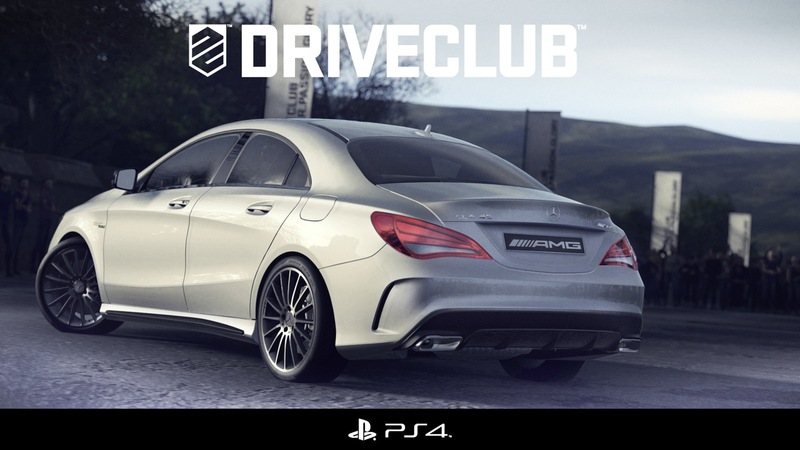 In an announcement by Sony yesterday, we realized we’d get the next best thing: the CLA 45 AMG will debut in “Driveclub,” a new racing game in development for Sony’s upcoming PlayStation 4 console. We may not get to enjoy this performance-oriented baby Benz in our driveways, but at least we’ll get the chance to play with it in our living rooms. Slotted as an entry-level model below the C-Class, the CLA-Class is Mercedes’ answer to competitors like the Lexus CT200h, Acura ILX, Audi A3 and BMW 1 Series. Stateside, we’ll receive the car in its turbocharged four-cylinder CLA250 guise, good for 208 horsepower and 258 lb-ft of torque. The model will be made available in both front- and all-wheel drive version. While that kind of power and traction is sure to be peppy in such a small sedan, our hearts are still set on the more aggressive AMG model that we’ll only get to experience on the PlayStation 4. Mercedes promises to pack the CLA-Class with tons of modern driving technologies, from its upgraded infotainment suite to its collision avoidance and blindspot monitoring systems. We’re certainly excited to see this miniature “style rebel,” so be sure to check back with us later this spring for our first impressions of the CLA250, and we’ll give you a better idea of what to expect when the car goes on sale later this fall.